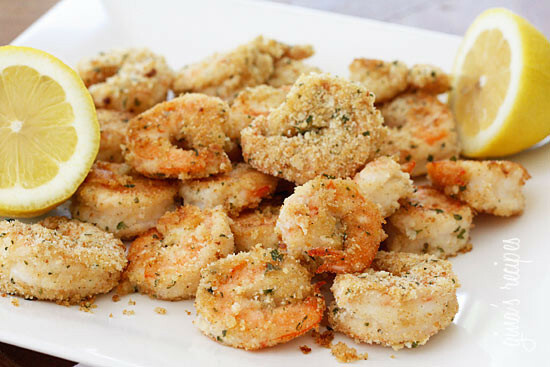 Delicious and healthy breaded shrimp, without the added fat. 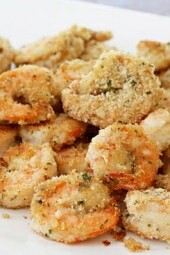 Jumbo shrimp, coated with seasoned breadcrumbs, panko and grated cheese, then baked until golden. Serve this with lemon wedges and you will have one happy family. 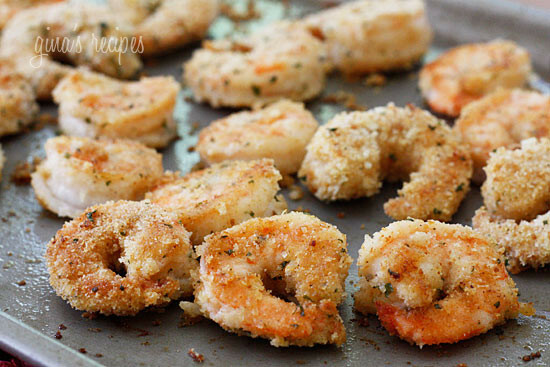 You may want to make extra, because these shrimp disappear quickly! I had a lot of extra crumbs left after I breaded them, so I double dipped the shrimp into the egg and breadcrumbs until I used them all up which gave the shrimp extra coating. Put the egg beaters in one bowl, and the breadcrumbs, panko and parmesan cheese in another. Wash and dry the shrimp. Season shrimp with salt and pepper, then put a few at a time in the bowl with the egg beaters to coat. Put a few pieces of shrimp at a time into the breadcrumb mixture to coat, then on a baking sheet. Once all the shrimp is breaded, if you still have crumbs left, re-dip the shrimp back into the egg beaters and then back into crumbs and back onto the baking sheet. Spray the top of the shrimp generously with baking spray then bake in the middle rack for about 6-7 minutes. Turn shrimp over then cook another 3 minutes or until cooked though. Remove from oven and serve right away with lemon wedges. I just made homemade marinara… I wonder how this would be if I combine this recipe with your bakes chicken parmesan recipe… replace the chicken for shrimp… baked shrimp parmesan…. I just bought myself an air fryer after seeing all of the recipes you are remaking on here in the air fryer. Just made this shrimp recipe tonight in the air fryer and it turned out amazing. So crispy and delicious no oil needed. I also made your Binging good shrimp sauce to go with it yummy. Thank you Gina for the Air fryer remake recipes keep them coming..
Hi! What temperature and how long did you air fry? I was thinking of doing that tonight. I just did the same thing without reading your comment. So good!! I am making this for the first time tonight! I love “fried” shrimp but fried foods kill me! Am looking forward to this! This was delicious. I only had panko bread crumbs so I used that in place of the whole wheat bread crumbs. Will this change the point value? Is This Recipe And Cook Times For Cooked Shrimp Or Raw? Made this dish tonight- delicious! Another winner, thank you! I used the egg beater egg whites and I think the regular egg beaters would have helped the mixture stay on the shrimp better but it might have been just me. Other than that, the shrimp/breading mixture was great. Do you think you can apply this recipe to a white fish like tilapia or filet of sole? I made these for dinner tonight, and they were good! I wish I could've gotten them a little crispier, but I didn't want to overcook the shrimp. Will definately have these again. These are great – I love your shrimp recipes! I made these tonight and we dipped them in cocktail sauce and had caesar salad on the side (your skinny caesar dressing), it was a great light dinner. I loved fried shrimp as a kid, but won't eat them now, so these were a great treat, they're just as good as fried shrimp! I have cooked clean shrimp in freezer I was wondering the same thing….could we use cooked shrimp for this recipe? How would we adjust for that in the cooking? Could you do this with cooked shrimp? Any idea how long you would bake? I would imagine you could easily over bake. Instead of eggs, coat it with a little olive and lemon juice, then into the crumbs. I'm allergic to eggs…any suggestions?? Looks yummy but what is Panko and where do I find it? I made this Friday night and my husband said it was "Amazing". Thanks so much for bringing us weight watchers friendly meals that my family wont complain about! How long do you think you would cook this for frozen precooked shrimp? If you didn't want to deal with raw, peeling etc ? Let it thaw before cooking, same cook time. This recipe was so easy and delicious. I served it with marinara sauce to dip. Thanks Gina! These were fantastic! We all loved them, including the 3 year old and the 1 year old! Your recipes never disappoint! Gina, are these uncooked shrimp? My mouth is watering. This looks so amazing! This was very yummy. 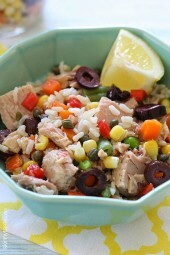 My picky eaters: husband, two boys loved it! It's definitely a favorite in our family now. Thanks for sharing this with us. This looks so delicious! I must try soon! I was craving some breaded baked shrimp yesterday as I was planning my weekly menu. I just knew you would have a great recipe, and checked your website first thing this morning before heading to the grocery. How funny that you just posted this great recipe… and I had all of the ingredients but the fresh shrimp. I made them tonight – so easy and quick and they turned out great! 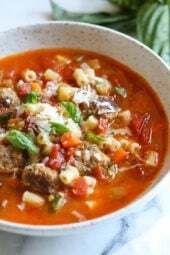 Thank you for another winning recipe! Gina – I discovered your website by chance as it was recommended on one of the travel websites I visit. I am SOOOO glad I discovered your website. 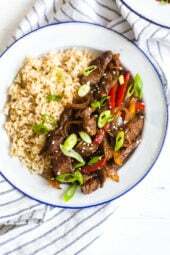 I started Weight Watchers in May and I am constantly looking for great recipes that my family will love. You are now my go to site. The flavors are wonderful and the creativity is blissful! I have cooked from your website 4 to 5 times a week for the past two weeks and can't wait to make this one. My kids and husband love it! I made this last night and it was divine! I just want you to know I cook of off your website at least 4-5 times a week! Everything is amazing!! Thank you so much for your time! thanks for the recipe! looks amazing!!!! NOM! I buy them in the supermarket but white crumbs would work for the same points. Awesome…this is going on my dinner list this week! @cschelldorf…if you have a Wegman's you can get the breadcrumbs there. If you only find plain whole wheat breadcrumbs, you can add Italian spices to it. Can't wait to make this! Gina, I'm having a hard time finding whole wheat Italian bread crumbs. Do you know where I can find them? Angela, jumbo is more money but it's quicker to bread, and requires less crumbs. So glad you both liked them! Oh, I wanted to mention that I used medium shrimp (not jumbo), so we used all the breading and almost ran out. It was just right. This was fabulous, Gina. We like shrimp, but it can be kind of bland without something added. This was perfect. I dipped it in ketchup (no cocktail sauce around), and just loved it! This is my favorite shrimp dish we've tried of yours – my husband's favorite, too! Thanks again! You constantly amaze me. I was SO happy to see this as I wanted a treat for the weekend! Add Worcestershire and horseradish to ketchup for homemade cocktail 🙂 do it all the time! Add some Old Bay Seasoning! It was a hit! Delicious! Just like eating fried shrimp without all the fat! I think I'm going to try the sesame chicken tenders next. I'm making this tonight! My daughter has discovered she likes shrimp (and she's a picky eater), so it's perfect. I'll let you know what she thinks! Gina, thanks for lightening up an often heavy meal. Would love this shrimp for dinner tonight. Amber- you could use egg whites, same thing. Coconut shrimp, I'll have to do that next! Jen- You can have this with a side of pasta, or keep it lighter and have a big salad. what would you serve with this as a side?? Gina – I found your web site by googling weight watcher blogs. I am so glad I found it !!! any chance of putting together a cookbook with all your fantastic recipes and pictures? i would definitely put in a pre-order for one (or even two !!!). Rats! I have used the last of the shrimp in my freezer! Time to go for more so I can make these! I absolutely love shrimp and I've been getting tired of chicken lately. Anyway to turn this into coconut shrimp? Gina, I discovered your site last week and I already made three recipes from it with great success. Meatless cupcakes were an amazing hit with my fiance and a friend. I also made garlic biscuits (albeit, I made my own "bisquick" mix) and I also made breaded chicken stuffed with cheese and broccoli – I used thigh meat instead of breast meat. I just wanted to say thank you for your recipes. It's quite rare that I find an author whose taste is close to mine and whose recipes I do not have to adapt to my eating habits. 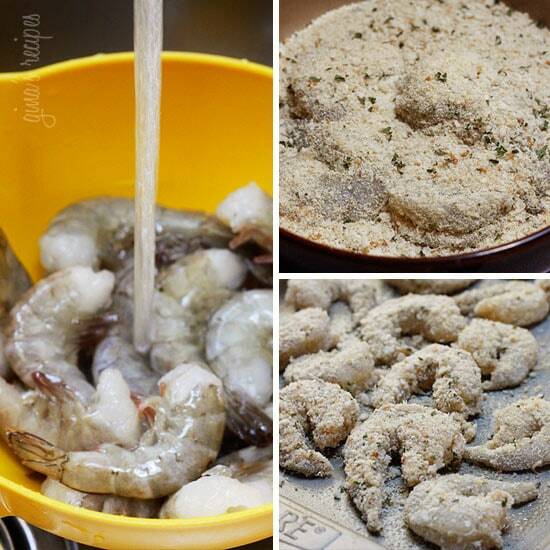 I'm planning on making this shrimp tonight! Looks great!!! Some cocktail sauce with this would be awesome! Would an egg white, or whole egg be an ok substitute for egg beaters? this looks SO AMAZING! thanks for posting! Sounds delicious. I bet this would be tasty with the garlic aioli sauce that goes with your fries!